I have never been a fan of orange. However, if I were, I must say I would be grabbing these babies up. They almost make me want to change my feelings about orange. Almost. 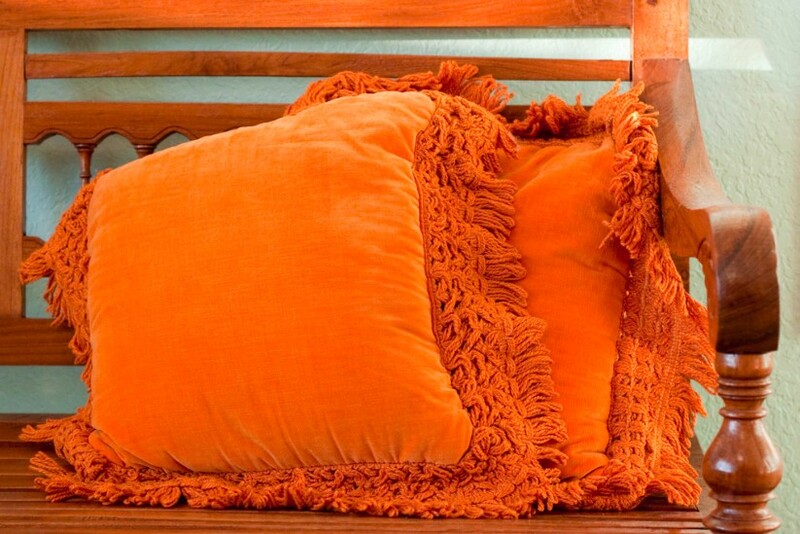 I love orange -- in the right places it can really brighten things up. These pillows are super cute! Nichole I love those orange pillows. They remind me of when I was growing up all of the beautiful pillows that people would have. I remember all of the very pretty throw pillows.